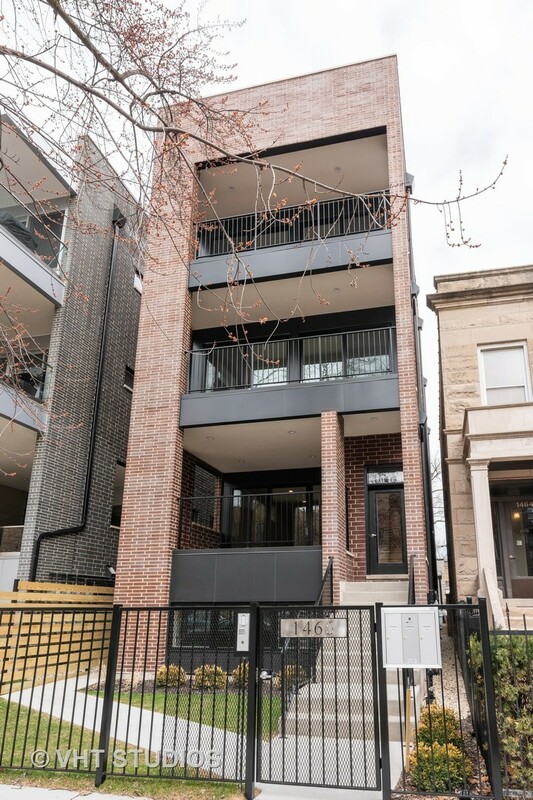 Andersonville NEW construction available now! Three unit building in awesome location 1/4 block to Clark&Foster. All brick building with stone accents and aluminum detail. Unit #1 is a high first fioor duplex unit with private side entry, three bedrooms, two and a half baths, living/dining room plus family room off kitchen. Unit features south facing wall of windows with 8&apos; high sliding glass doors which open to a covered 195 sqft private terrace with Trex decking plus additional 120 sqft deck off family room, both with lighting/power/gas. Superior details throughout: 10&apos; ceiling height, oversized windows, spray foam insulation, advanced soundproofing between units, real 3/4" oak floors with custom stain, painted wood cabinetry, quartz countertops, beautiful bathrooms, Kohler and Grohe fixtures, Bosch appliances. Garage parking and storage room included.